Nordic Larp Talks is a series of short, entertaining, thought-provoking and mind-boggling lectures about projects, ideas and design practice from the Nordic and collaborative traditions of live action roleplaying. Prior to the Nordic Larp Talks Helsinki 2012, Juhana Petterson the editor of States of Play, the Solmukohta book of the year held a very convincing argument this years book are completely different compared to its predecessors. You can download the book as pdf at the site nordicrpg.fi. 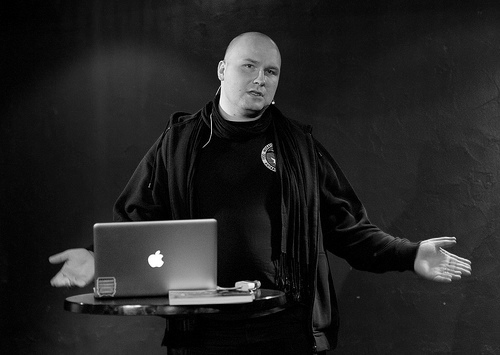 Juhana Pettersson is the producer of the videogame tv-show Tilt and the director of publishing at Pohjoismaisen roolipelaamisen seura, a non-profit organization dedicated to promoting Nordic roleplaying culture. He has studied at the University of Helsinki and at Studio national des arts contemporains le Fresnoy. He was the editor in chief of the roleplaying magazineRoolipelaaja from 2007 until 2009. He has worked as the assistant editor-in-chief at the left wing arts magazine Kulttuurivihkot, and as a contributing editor at the pan-Nordic roleplaying magazine Playground. He has written for publications such as Helsingin Sanomat, Image, Veli, City, Voima,Kumppani, Libero and Ylioppilaslehti, and also did some work for the now defunct indie tv station ATV. He has written a book called Roolipelimanifesti (Like, 2005) and a roleplaying game called Ikuisuuden laakso (Pohjoismaisen roolipelaamisen seura, 2009). He edited a collection of roleplaying games called Unelma Keltaisesta kuninkaasta ja muita tanskalaisia roolipelejä with Kristoffer Apollo and Tobias Wrigstad (Pohjoismaisen roolipelaamisen seura, 2011). He lives in Helsinki, Finland. Enter your email address to subscribe to Nordic Larp Talks and receive notifications of talks by email.